To most people Cobra is a snake, to some is an airplane and to most of my acquaintances is one of the most revolutionary and famous race cars ever made. Not to me. Every time I hear the word cobra my lips curve in a tiny smile and I think of a tiny little car. I think of the legendary Crosley CoBra engine (copper brazed) that helped United States' military efforts during the Second World War and that took them back to the race tracks right after it. I have a person to blame for all this, Old Man Foster from Crosley Kook. He is also responsible for letting me understand that quite often the fans of small race cars can be the more honest, proud and welcoming of all the vintage racing system. This is all the more true with Crosleys, cars that always inspire smiles but also had to be respected on the race track. A funny mix. When a stock Crosley Hotshot won the index of performance at the 6hrs of Sebring in december 1950 it created a lot of confused enthusiasm. ‘Index of Performance award’ calculates the best performance for vehicles completing the race based on engine size and distance covered. An inspiring mathematical logarithm. Phil Stiles and George Schrafft were joking about how good it could have been to have a try at the Le Mans when the latter's wife said "why don't you let Crosley build you a car?" This was not very much possible so the two decided to go for it. But time was tight so they decided to try their luck sending two letters at the same time. One to France, to the Automobile Club de l'Ouest, asking for an official entry to the 24 Hours for Crosley, the other one to Crosley factory announcing that they had been invited to the race. It worked like a charm. 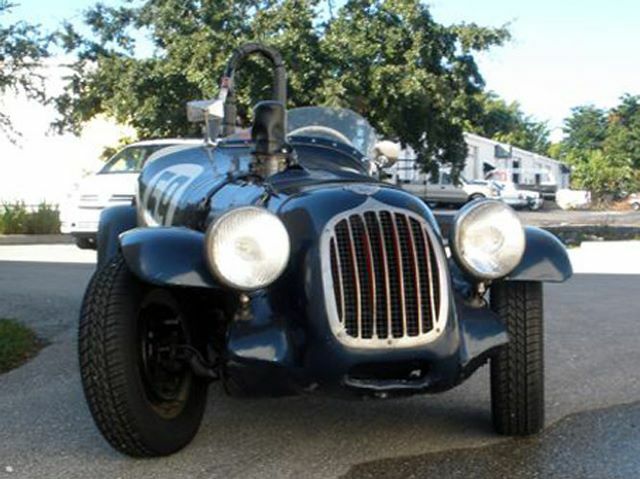 Crosley offered a Hotshot/Super Sport chassis and a very solid purposely upgraded 726 cc engine. They then went to Indianapolis to have a body created by Floyd Dryer who also took care of the upgrades on the suspensions. The body was shaped in one of the funniest creations I've ever seen, a practical toy car resembling an ancient two-man indianapolis type Duesenberg but with a midget nose. Oddly cute. After an impressive array of adventures the delegation arrived in France and the car was promptly nicknamed "Le Biplace Torpedo". The team was composed of two drivers, one wife, one mechanic, few parts and few English men and an American soldier that came to watch but was promptly hired. The wife's support proved incredibly useful once again. Her dressing case would have been in fact scarified to carry the spares along. The only last modifications were a bigger gas tank (helped by the Cunningh team) and more powerful lights, demanded after scrutiny. These proved to be too much for the stock alternator and a french unit was fitted. This condemned the little car's effort. The Crosley was performing incredibly well, lapping smoothly only in top gear (for the gearbox was stock and they had been warned not to use it as far as possible) when the generator started to show alarming signs. At the signal "lights on" the amperometer started to give alarm and they knew the only way to keep the charge up was to go full throttle all the way. Thing that they promptly did, creating funny situations like passing one of the quick Talbot powersliding in the "Esses". The passenger seat's cushion had been jumping up and down for the first two hours of racing and just when Stiles was making plans to throw it out of the car for good...fire broke out in the engine compartment. Using the cushion to deflect the smoke he managed to nurse the "torpedo" back to pits. The generator seized solid wrapping cables and whatever was close to it. Keeping up the Crosley spirit, decided to bypass the water pump and wizz for some extra laps. The crowd roared seeing the little car leaving the pits once more. Few laps later "Le Biplace Torpedo" was being parked on the side of the track. 40 laps of fun and glory. Was it the end of the trip? Nope. The car was fixed and took Stiles and his wife on a lovely driving holiday across the Alps. They also decided to go and watch the Alpine Rallye contestants pass by when they remembered they still had the number 59 from the Le Mans. In pure Crosley spirit they decided to sneak between cars and pretended to be part of the race until the next village. I wish I had a picture of the marshalls trying to understand why there were two number 59s at the end of the stage. The car now belongs to John Aibel from the Crosley Club, after a chase that lasted the better part of 15 years. It's apparently regularly shown and raced, the only modification being a 4 speed FIAT transmission mounted by Schrafft back in the day and a much more recent and needed roll bar. Will I see this car at the Crosley meeting in September? I sure hope I will. one correction- the CoBra motor was no longer in use by the time Crosley went a-racin'.... the tin block was retired in 1948 after it had shown a tendency to rot in automotive use- apparently it worked great in a stationary application, but the fast-slow-fast nature of driving resulted in an early failure rate. The CoBra was replaced in '49 by the CIBA (Cast Iron Block Assembly) which was an identical engine except for the more standard cast block. the CIBA was much beloved by the racing community since it had the same overhead cam and five main bearings (and ability to be revved over 8000 rpm) but the block didn't self destruct. 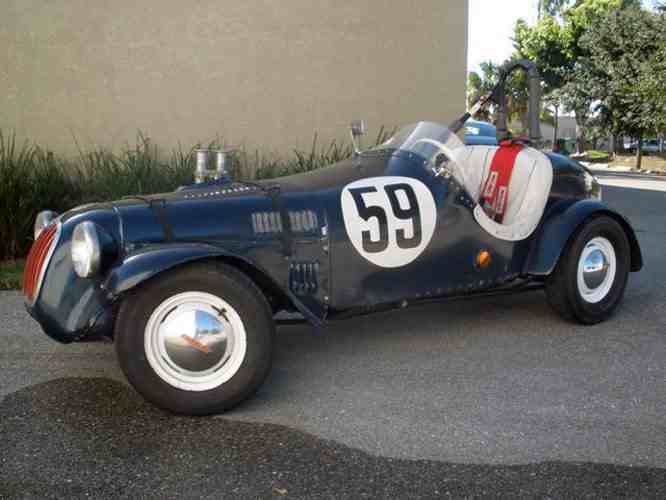 There were a few mad souls who raced on CoBra motors, but nearly all Crosley track time was done under CIBA power. It is great to see my car featured on your web-site. I have owned her over thirty years, and enjoyed everyone of them.I have vintage raced her at Lime Rock, Pittsburg Vintage GP,Pocono Pa. Fast car for a 750 cc, engine. Will run with the best MG TD;s out there. We do mostly car shows now here in Naples, Fl. Hi Mr. Aibel. My name is Saralynn Watts. I just wanted to msg you and thank you for taking care of this car. Phil and Sandy Stiles are my grandparents. I have many memories of these stories and I enjoyed seeing them on this site as you did. Are you still showing her in Naples? Since this post is old I hope you get this, or even a family member. Take care! I hope to see her some day! Dear Saralynn,messages like this make the internet worth it. Thank you very much for reaching out. I hope Mr. Aibel will reply to you. Saralynn, sorry it has taken me so long to reply to your post. Yes the car is still in Naples and I have not shown her recently. I just want to tell you that I have an hours tape recording of myself and your grandfather talking about the Crosley and Le Mans race. He certainly was a Gentleman. The only thing missing is that he said he has the AAA plate that was on the car when raced. I sure would like to reunite this dash placard if it still exists. My phone number is 239-580-8717. If you would like to call me it is alright with me.